Finding the inspiration for your wedding reception menu can be challenging. You don’t want to rely on the same old recipes you’ve tried at every other wedding you’ve attended. You want something exciting, original, and totally unique. Food brings everyone together, and the right food at your wedding will help make it an even more memorable experience. If you’re having some trouble designing your wedding reception menu, check out some of Hollywood Banquet Hall’s tips! Our team offers some of the finest wedding dining in Los Angeles, and knows how to craft the perfect menu for your wedding day. The notion of farm-to-table eating has become popular at weddings in recent years. You don’t need to go that far for your event, but taking the basic idea of using seasonal ingredients and flavors will definitely help your wedding menu shine. Consider what’s in season and what’s fresh when deciding options to add to your wedding reception menu. Your guests will definitely appreciate a fresh, exciting menu over bland, unoriginal options. Cooking is an artform all its own, and hindering your caterer with too many restrictions and requests is bound to make them miserable. To ensure you get some delicious items, be sure to give your caterer some creative freedom when designing your menu. We’re not suggesting you don’t request any special items or flavors, just remember not to micromanage. Remember, you’re hiring a professional for a reason, and the right caterer is one you know you can trust to craft some delicious selections for your wedding menu. 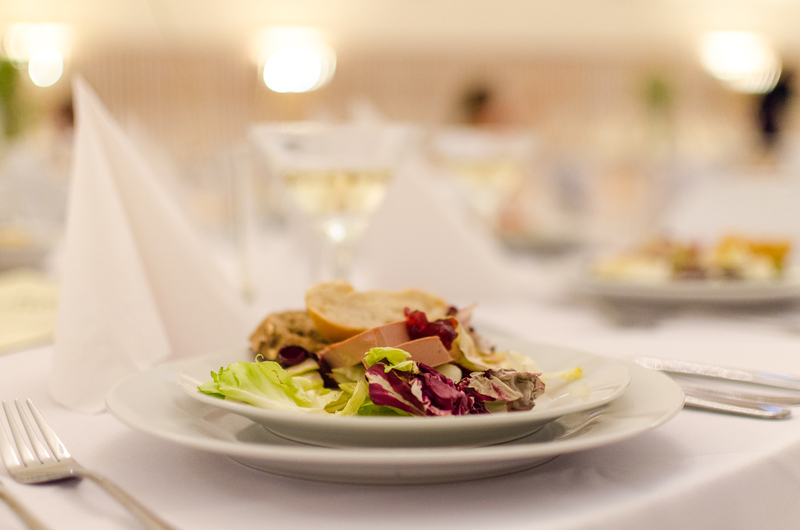 People always focus on the food at their wedding reception, but remember, your guests are there to have fun and party. That means you’ll want to make sure there are some exciting cocktails, ideally something you can’t find at every bar. Plenty of weddings are bucking the trend of traditional cocktails with more creative concoctions, exciting guests with drinks inspired by the bride and groom’s favorite flavors. There are plenty of online guides to finding your signature wedding cocktail, be sure to do some research and make some creative decisions. People expect something special when they go to a wedding, and that extends beyond just the food. Be sure to impress your guests with some unique plate and table presentations. Plopping guests’ food on a regular white plate isn’t going to provide the wow-factor you want at your wedding. But some creative plating techniques and elegant silverware will really impress your guests. Guests expect nothing but the best when they head to a wedding, and that includes wonderful food. But with these tips in mind, you’ll be able to plan the perfect wedding reception menu for your big day. And if you’re hosting a wedding in the Los Angeles area, consider Hollywood Banquet Hall. Our event venue can host weddings on almost any budget, offering delicious dining and luxurious accommodations. For more information on booking and availability, contact Hollywood Banquet Hall.